Home > Equine Causes • Horse Sense • Horsemanitarianism 101 > Buy a Horse, Save a Horse. Yes, it Really IS That Simple. Buy a Horse, Save a Horse. Yes, it Really IS That Simple. I’ve been thinking about this for several weeks now. Like many of you who are involved with horse racing–I spend part of every day of my Life feeling guilty, and thinking that I should just pack it up and take a job as secretary to some corporate moron. You know–a 9-to-5 gig, in which I never take work home with me, not even mentally. Mindless, spineless–no emotional connection to the job, the work or my co-workers. Get a (slim) paycheck for basically putting up with the control issues of a corporate wonk with low self-esteem. I know that I can’t go back to that–but also I can’t justify being in horse racing, unless I DO Something. Horse racing has its detractors–and some of the criticism is justified. Those who are sincere, do it because we love horses. We’re here because we love horses. Oh, yes, as I just wrote–some in horse racing ARE very wealthy. I will not deny that, at all. Those people came into the industry wealthy, or spent many, many years working their tails off to get where they are today. And wealth is the subject of today’s article. I’m not going to rant, merely to observe–and to make a suggestion. On August 5th and 6th, I attended my favorite two nights of the entire Saratoga race meet: the annual Fasig-Tipton horse sales. Yearlings–all spit-shined / trimmed manes / manis and pedis–on parade. Baby whinnys. Nine-hundred beautiful pounds of nothing but potential. Yearling sales are their deb balls–the horses’ first exposure to humans who are new to them–and whose decisions and actions will affect the rest of their lives. 1) How will these horses retire? I know, they’re not even racing age yet. 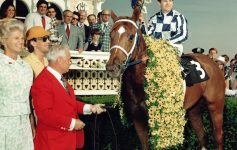 Whether Thoroughbreds are raced at age two, three (a’la Wise Dan), or begin their careers even later (a’la Arabian horse racing)–these horses will race. Probably. What will happen to them after they’ve given their all–after they’ve committed their hearts, souls, guts and hooves–to the humans who own them–to the fans who love them? 2) Where will they go? 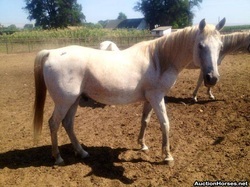 The great horses will become studs or broodmares. They’ll live on breeding farms, where they’ll die eventually, snug in their warm stalls. But what of those who don’t make it as a stallion or broodmare? 3) Who is looking out for them? 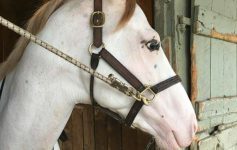 Some racing individuals, like West Point Thoroughbreds, are very aware of their responsibilities to the horses they buy and race. I’m sure there are others–I know that HH Sheikh Mohammed bin Rashid Al Maktoum cares about the welfare and aftercare of his horses. Fortunately, NYRA and NYTHA (the New York Thoroughbred Horsemen’s Association) have programs, such as Take2 and Take the Lead. NTRA and oher racing organizations have similar measures in place, to help horses off the track to find other careers. There’s a wonderful movement afoot (ahoof? ), that of creating or finding second careers for Thoroughbreds after their racing careers are over. For this, I am so grateful. But I think that the horse racing industry needs to step up and assure that those horses who don’t get second careers have pensions. 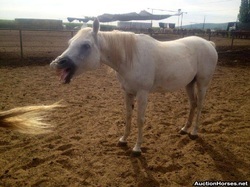 Individuals in the industry must accept responsibility for the horses they make, sell and buy. For a multi-millionaire or billionaire to buy a million-dollar horse, then expect NYRA and NYTHA to raise money to pension that horse one day–is irresponsibility at its most glaring. Every horse deserves to be loved–fed–cared for–after they leave the racetrack. The second career organizations can do just so much: it’s a matter of money and human resources, that they just can’t find second careers and homes for EVERY Thoroughbred who’s done racing. * If you don’t want to commit to caring for a horse for the rest of its life–don’t make so many. This seems pretty obvious. * If you’re a breeder, buyer or seller: create a national “tax,” and from that “tax,” create a pension fund. That’s right, police yourselves and do a GREAT thing for yourselves, from a PR perspective. Think about how good you’ll look to the entire world–if you in the breeding industry (not just Thoroughbred, but if you breed Standardbreds, Arabians, Morgans, warmbloods, Hanovarians, Quarter Horses, etc.) — police yourselves. “Tax” yourselves. Create a fund, staff it and nurture it. * Retire your horses lovingly–they are NOT disposable. Folks, we ARE the cracks. Horses don’t “just disappear”–some human, somewhere, knows where they are, and where they went. It’s our jobs as professionals in the horse racing industry to assure that no human is allowed to be that “crack,” through which a horse slips. They are safe today, because of the loving concern of many people on Facebook, and the willingness of J&M to take in even-more horses. These two horses and their two friends are safe, well-fed and NOT in a slaughterhouse today. Can you see the fear in this horse’s eye? Wariness? Exhaustion? You can see those things? Good, because, unless a last-minute intervention happened–that horse is dead. And he was killed in the most cruel of ways: exsanguinated in a slaughterhouse, at the hands of a sadist. There would be no horses to slaughter–anywhere in the United States, or in the world, for that matter–if the easiest of solutions can be put into place. * Let’s say that you go to a horse sale. * You buy a horse. Say you pay…mmmmm…let’s say, a cool million for this horse. I don’t know who you are…but apparently you have LOTS of cash to blow. You have so flippin’ much money that you can spend ONE MILLION DOLLARS on a year-old horse. You have absolutely NO idea if this beautiful little animal ever will be able to run well enough to become a racehorse. You like the pedigree–you like the black type in the catalog–you love the conformation. * more than the GNP of some small nations. * more than the cost of 90% of the real estate in Saratoga. * more than most people on this planet will earn in a LIFETIME. And I’m willing to bet that, if you had a million to spend on a Thoroughbred…you’ve done this before. You’re no newbie, this yearling sale ain’t your first rodeo. You probably bought more than one horse that night at the sales. Many horses, during the course of your career in this industry, whether racing is your vocation or avocation. And I don’t care, frankly, that you’ve spent a million bucks on a horse. Good for you. Like everyone else at Fasig-Tipton, I, too, applaud and whistle the moment that the first horse goes for a million. It’s an event–and an indicator that our industry is healthy, or becoming more so. I’m fine and dandy with you or your colleagues, best friends, wives, husbands–spending a queen’s ransom on a horse. But I ask you to consider just ONE idea–this is not such a sacrifice. For every dollar that you spend when you buy a horse–whether that horse is a kabillion-dollar Thoroughbred–or any other breed–I hope you’ll volunteer to participate. If you spent $800 to get your daughter her first pony–this is for you, too–and every other transaction in-between, $800 and $1 million–n which horses and money change hands. Give that aforementioned, not-required “tax” to a rescue organization that saves horses from slaughter. Let’s say that the sales tax in your city and state come to, ummm, 7%. You spend a million on a horse. If you tax yourself at your own regional tax rate, that means that you owe your conscience $70,000. Yowza. That seems like a lot of money, eh? It is. But $40,000 for a purse isn’t just a lot of money–it’s an obscene and utter waste of cash, all in the name of Vanity. Horses are being murdered in the most-painful of ways, every day in Mexico and Canada–and someone you know just spent forty-grand on a purse, or shoes. Or a car for their 17-year-old. And let’s face it: if you have a mil to drop on a horse–and then, all the cash that’s going to be spent to care for that horse, train, shoe and get her to the track in a year or two–you have $70,000 to save some precious equine lives. Think about it: the going rate for a slaughter-bound horse at auction is $400. Your $70,000, self-tax, can save 175 lives. Yes, readers, there are organizations who are under-staffed and overworked, who are trying to raise funds and awareness to get second jobs for Thoroughbreds so that none of them ever goes to slaughter. That’s a profoundly noble–and right–thing to do. And if you can help fund them–you should. If you’re already funding them–thank you. Kudos to all the racing organizations like NYRA and NYTHA, and others that run those programs–and to the people who strive every day in the trenches to get those horses safely off the track and into new careers. But as individuals, each of us is morally, ethically and spiritually obligated to the horses both in horse racing and in the world. We are beholden to those horses for so much. We can’t all give $70,000 to rescue horses. I know this, obviously. But sme of us can write. Others can join committees, or volunteer time. Yet-others will work on fund-raising events and awareness campaigns. Some, like my friend, Carol, takes horses off the track and straight into her barn, where she quietly re-trains them for second careers. But for those of you–of us–in horse racing, for whom buying a horse for $250,000 — half-a-mil — $1,000,000 dollars–is not only possible, but matter-of-course…this message is for you. If you breed a horse–you have a stallion, or a barnful of them…this message is for you. If you’re a consignor, bloodstock agent–or anyone else who makes money from the direct breeding, sale or purchase of a horse…this message is for you. For those of you who buy a pony for $800, for your daughter…this message is for you, too. Seven percent of $800 is $56. The message is simple: Buy (Breed/Sell) a Horse, Save a Horse. Tax yourselves. Figure out your regional tax, and then just do it. 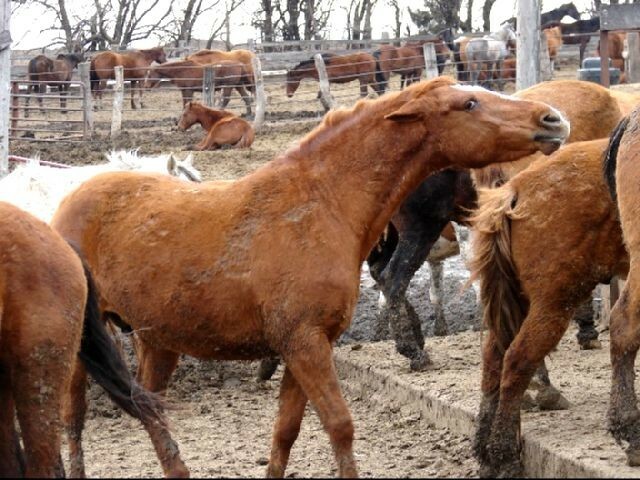 Send that money to an organization that rescues horses from slaughter. Help them buy horses by the dozens–just to sweep into New Holland, Unadilla, Sugarcreek or any of the other evil auction houses that specialize NOT in million-dollar babies, but in horses who need love and lost it–help those organizations and people to sweep in, en masse, with YOUR “tax” money–and buy every freakin’ horse off the trucks. Wouldn’t THAT frost the gizzards of the killbuyers–to be put out of business by YOU, you good-hearted, horse-loving, champion of horse racing–by YOU? Think about how well you’ll sleep the night you buy your first Thoroughbred for $1,000,000. “I bought a beautiful (Name of sire/dam) baby tonight! I’d love to be you, when you realize that you can have fun in this industry AND be a hero to so many horses. http://www.jmacresrescue.com/NYRA logo, courtesy of NYRA. Previous Article An Open Letter to the New York State Gaming Commission–and a Call to Action. Next Article Saratoga’s Over for 2013…but Racing in New York Rocks On.